I went to the store to buy red snapper. Then I decided to be thrifty, so I bought catfish instead. 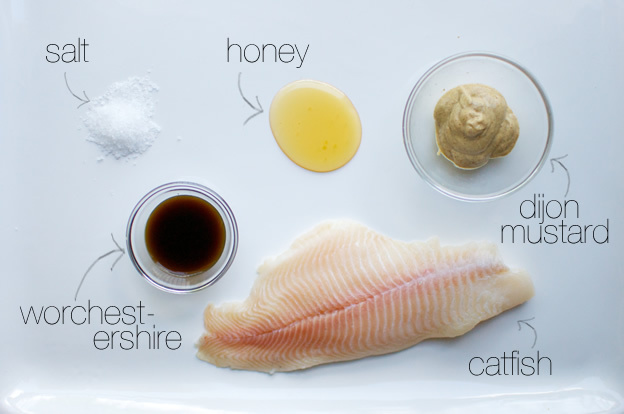 After a quick soak in an easy honey mustard marinade (to make: mix a glug of all the ingredients below), the man threw the catfish on the grill for about 2 minutes on each side. So delicious, easy and CHEAP! If you aren't normally a “fishy person” you'll probably like catfish. It tastes ‘meatier’ than most fish. How's that for a scientific explanation? 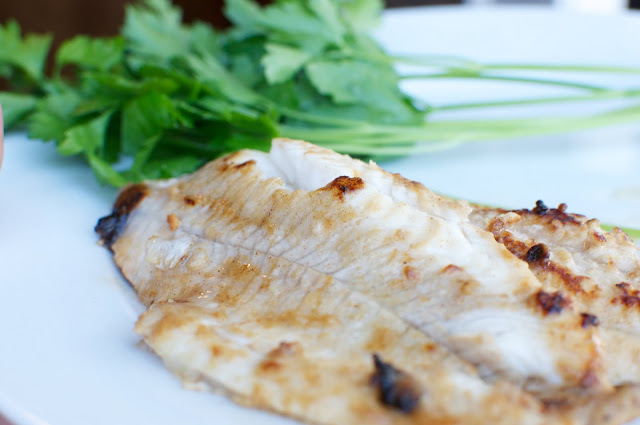 Mix all ingredients in a shallow dish (or large plastic bag) and marinate catfish in the fridge for at least 30 minutes. Remove from marinade, and grill for about 2-3 minutes each side.